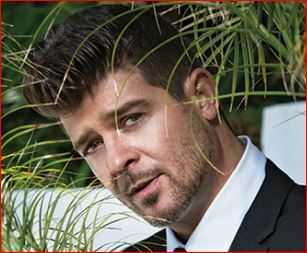 Robin Thicke reveals his thoughts about Justin Bieber while he covers the #Legend” magazine for its June Issue. The 39-year-old singer talks about how much easier it is now to break into the music industry. He reveals that all Justin Bieber had to do was sit with his guitar and play a few songs and put it on the Internet and he had a million fans in a few weeks. On his thoughts about fatherhood, he dishes the scoop that his father wasn’t as strict as he is. He takes all the intelligence and love and conversation from his father but he adds a little more discipline. He also adds that there is no plan B for his career too.